I created these for Gina's Month of Pumpkin. She's a master with pumpkin recipes, and she let me join in the fun with this super easy pumpkin craft. These balls of yarn are topped with small pieces of pipe cleaners and stacked inside a shadow box. They make great additions to a tablescape and a delightful garland, too. 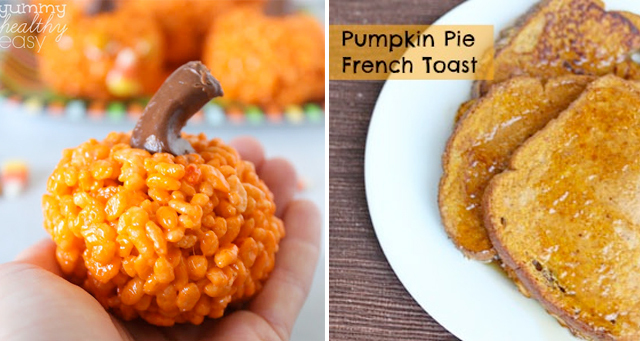 How about two great uses for pumpkins? A balloon, yes! And a pinata! Perfect. What an awesome way to begin or end a night of trick or treating. You get all the info on how to fill the jack o'lantern over at The Gunny Sack. Also, I'm not over chalkboard (I hope you aren't either), and I love this pumpkin turned potted vase for colorful mums. This is a super easy and approachable (quick) project that can make any front door warm and welcoming for fall. Chelsea shows off how-to over at Making Home Base! Rice Krispie treats are always a family favorite around here, and these are too cute as pumpkins. The simplicity is right on for the kids to join in on the creation stage, too. Jen has her creations over on Yummy Healthy Easy. Can you guess what she used for the stem? Pumpkin pie French toast? A total yes! This recipe is from Erin Chase over at $5 Dinners which means it's also incredibly affordable. We make pumpkin swirl French toast every Halloween, and I love this variation on it. But why save it just for Halloween? When I think of baking with pumpkin I think of these two recipes. Crissy of Parenting Pretty has gorgeous and uncomplicated Melt in Your Mouth Pumpkin Cookies. The texture and moisture of pumpkin is just perfect for these delicious desserts. Everything tastes better as a donut. Well, almost everything. But for sure on pumpkin. Rolled in sugar... The Blue Eyed Bakers are genius. Click over and make Petite Pumpkin Spice Donuts. Though I've never eaten this particular flavor combination, I think we'd be fast friends. I'm excited to give it a try. 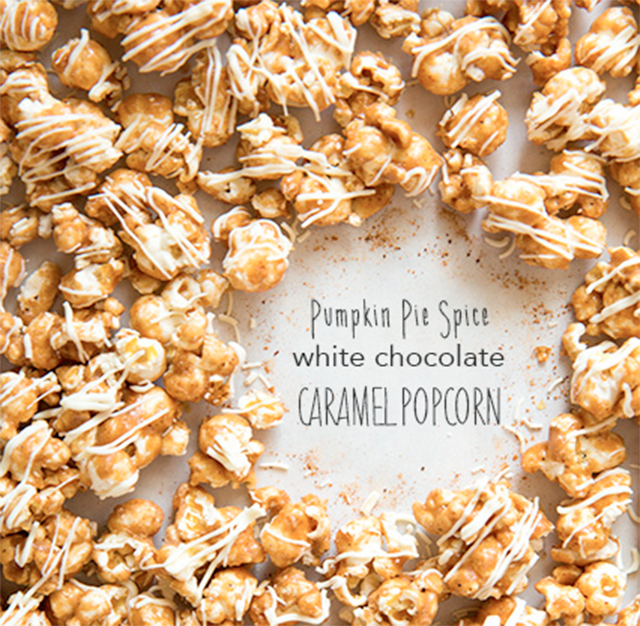 Cooking Classy serves this popcorn in a clever way, too. Go check it out! 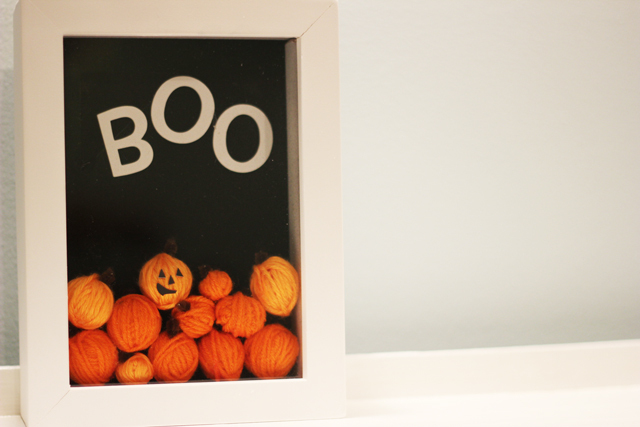 Something to occupy and entertain the young hands in your house is this simple pumpkin activity. Once the gourd has reached a certain ripeness, it's perfect for hammering. Grab a golf tee and a plastic toy hammer. Okay, it's your turn! What's your favorite way to use pumpkin?